Traditionally, many developers used Flash when they were creating, but now that HTML5 is around that is changing. Flash has always been a pretty labour intensive product and one that is not always compatible with certain devices or platforms. This creates problems for developers if they want to reach as wide an audience as possible. If you develop an app that is not compatible across the board then obviously some people are going to miss out. Using HTML5 means that this does not happen. Developers can create apps that everyone can access and use. Below is a amazing video tutorial on Youtube for HTML5. Why Is Reaching Everyone So Important? Developing an app takes time and developers want to see a decent return on this investment, as well as any financial investment. The best way to maximise this return is to reach as many people as possible. One of the most important aspects of this is to reach mobile device users. People spend as much as two hours each day going online on a mobile device; so you can see how important it is to make the most of this opportunity. HTML5 works across all devices so developers do not have to worry about missing out on a significant potential audience. In fact, it’s thought that many native apps will eventually just act as a portal into an HTML5 web passed app, with users not being aware of any difference. How can HTML5 be used? One of the biggest uses of HTML is creating apps for management of, and communication by, social media. Of course, social media is a pretty big deal for any business. It’s one of the best ways to reach a current or potential audience. That is why this aspect of using HTML5 is so important. 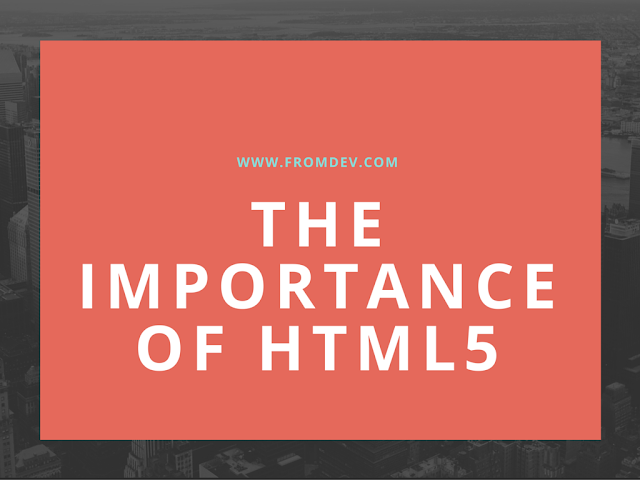 HTML5 is also useful when it comes to creating online communications. You can learn more about flipbook pdf on nmhytg.com. This tells you about how to use software to convert a basic pdf into a glossy and impressive flipbook. If you are looking at creating online brochures and magazines this is a very useful tool. Visitors to your website can access the flipbook and just click or swipe to access page after page of useful and relevant information. The action of reading a flipbook may be based on the traditional practice of reading a hard copy book or magazine but the process is very much updated for the digital age. If you are creating flipbooks online you can include video and audio content which makes for a more well-rounded reading experience. As you can see, HTML5 is helping to transform the way developers create apps for the web. It’s a less labour intensive process than using Flash to do a similar job. These apps can be viewed across platforms and devices which means that more people get to use them. If you run a business this is a huge consideration if you want to maximise the potential customer base for your product or service.